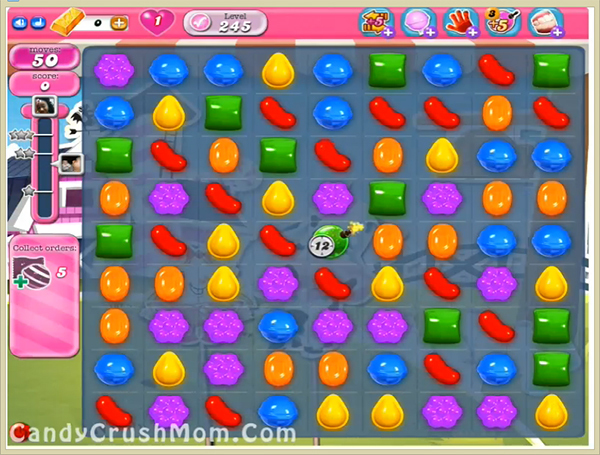 This level has hard difficulty as you need to make striped candy with wrapped candy. First try to break timer bomb and then try to make wrapped candy as its more hard to make than striped candy. As you get both try to combine each other to reach requirement. We completed this level with 331240 score using same strategy that we share above and got three star score at the end of the level.